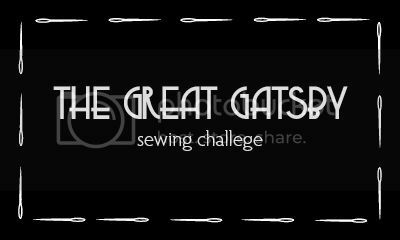 Are you having fun researching patterns for The Great Gatsby Sewing Challenge? Before the challenge I never realized how many patterns from the 20s required people to actually draw out the pattern pieces themselves. It's something I have never done, but it's on my to do list for the year, so I may try and tackle it! Below I am posting about a few patterns that I have found online that might be of interest. 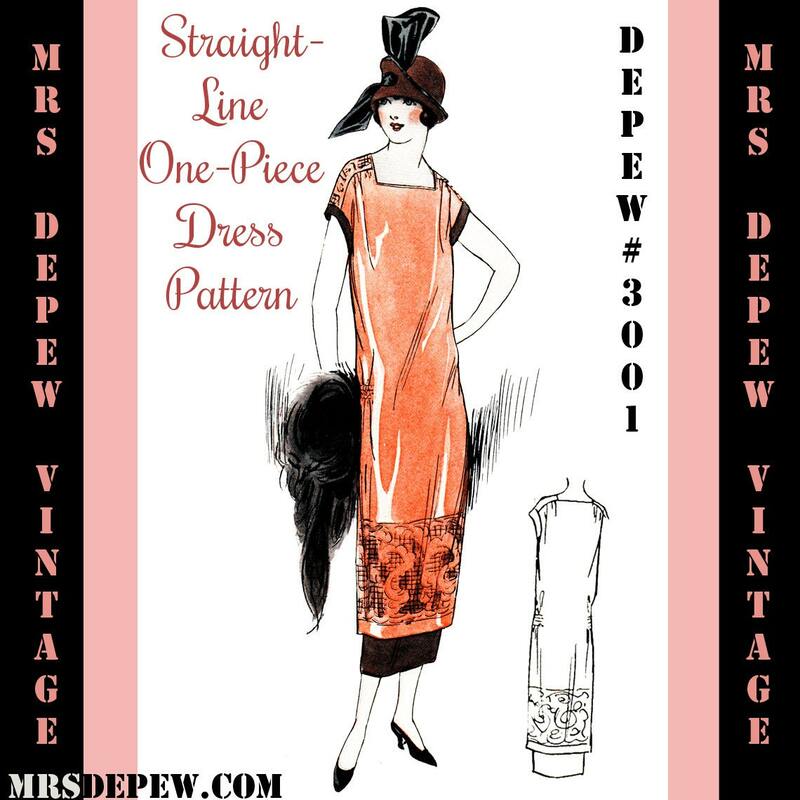 There are a LOT of patterns at Mrs. Depew's Etsy shop. Some of them require you to draw out the pattern and others include actual pattern pieces. Thanks for showing me the shop, Rochelle! 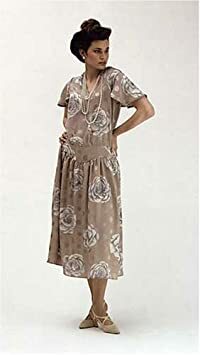 Last year BurdaStyle came out with eight Roaring Twenties inspired patterns. Any of the eight would make a great addition to a summer wardrobe. I found this instant download pattern on the Etsy shop, Vintage Visage, for only $2.99! Rachel just e-mailed me a link that brought me to this super cute pattern! Have any of you found any great patterns online? Please share them in the comments! Whoa!! I am loving those 3 pictures of the Burda dresses, esp the brown dress with black sash belt!! Here is my list of patterns and what I chose along with fabric! Starting tomorrow! Your choices are all great and super functional for your work! Wow, those two smaller BurdaStyle patterns are incredible! They look very vintage, but at the same time, because of the colour blocking, tres modern! :) Awesome find! I think I might have to hunt these down for the summer! I love the coral one from Burda, but then, I'm a bit of a sucker for a cowl neck.... Can't wait to see your dress come together!! I've finally narrowed down what I want to make (a combination of 2 of my inspiration photos). I'm using part of the pattern from Burdastyle's Sewing Vintage Modern. I'm halfway thinking of just drafting the rest, but we'll see. Thanks for sharing these shops and patterns! 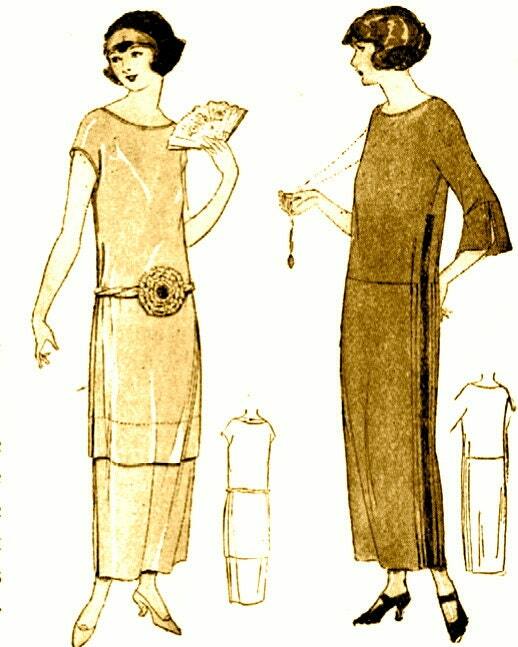 20s Fashion is not my favorite, but I recognize that it is extremely beautiful and feminine. Love the variety of patterns that you share in the post, I am tempted to do some of Burda ... Do you will sew any of these? I'm leaning towards one of the Burda patterns. I'm just not sure which one! Thanks for checking out the challenge! 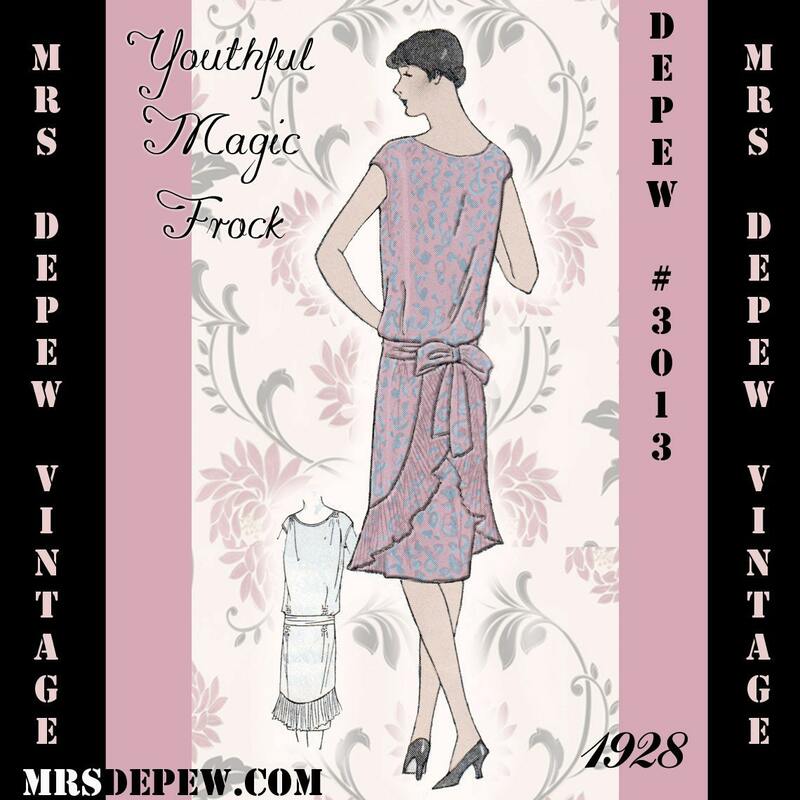 Do you have a favorite 20s pattern from your shop? I think I'm going to sew one of the Burda patterns because summer is just around the corner! We've seen this Folkware pattern and love it! Actually, it was on our wish list for future orders. Great selection!